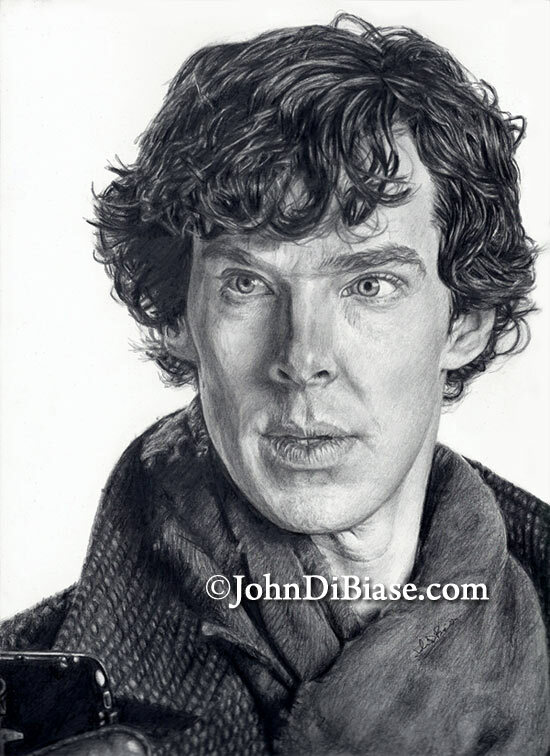 After watching Sherlock series 3 and just feeling discontented with my previous Sherlock/Benedict Cumberbatch drawing, I decided to take a stab at a new one. Hopefully this one is better. I worked on it in January 2014 and it’s full graphite pencil. I also brought back the DESIGN Ebony Jet Black pencil for the blacks.